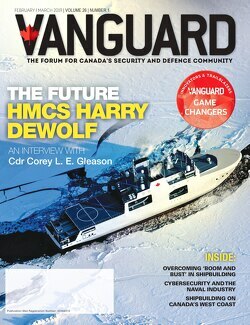 For over a year now, Vanguard has started a series on trends, facts and statistics pertaining to the defence and security community in Canada in what we called the Dashboard. 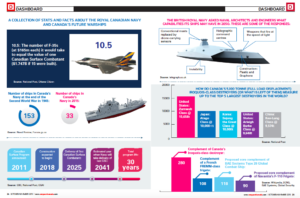 In this first Dashboard, we take a look at a collection of facts and stats about the Royal Canadian Navy and Canada’s future warships that was first published in the October/November 2015 issue. To get this high-resolution infographic, click on the image.